The acclaimed Congressionally Directed Medical Research Program (CDMRP) has issued its program announcements for funding available to medical researchers for studies related to Gulf War Illness (GWI). 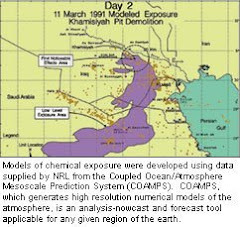 CDMRPS’s Gulf War Illness Research Program supports research focusing on the complex of symptoms known as Gulf War Illness (GWI), improving its definition and diagnosis, characterizing disease symptoms, and better understanding its pathobiology. The program’s goals are to improve the health and lives of those suffering from GWI. For the current fiscal year (FY11), total available funding is approximately $8 million, the same level as the last several years. The links below are to the three award mechanisms, announced today. Please note that submission deadlines are fairly tight, so interested researchers should act soon to potentially be funded under this exciting, cutting edge, Congressionally directed medical research program. When is there going to be any research done on the long term effects of the exposures and not just the original "GWI"? I personally have many medical issues that do not run in my familys medical history and have been denied any assistance. 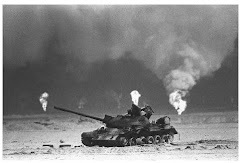 For the Gulf War to have been declared the most toxic war in history there is little to no research being done to find out what long term ailments the veterans are suffering from and certainly no help for them if one does'nt have any of the original symptoms that were discovered within a short period of time after the conflict.